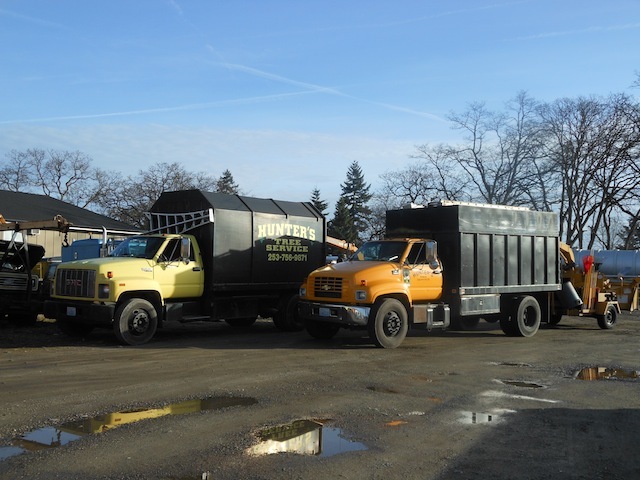 At Hunter’s Tree Service, we provide comprehensive tree trimming services in the South Hill area. Performed by ISA certified arborists, tree trimming helps to maintain overall health and well-being of the trees on your property. The professionally trained arborists begin by determining the best course of action for the trees growing on your property. Whether it’s an old tree about to fall or if you are planning to enhance the appearance of your landscape with tree trimming, we are here to help. If you see damaged or dead branches in your trees, give us a call right away for safe and quality tree care. Looking for tree pruning service in South Hill area? We offer full tree care service from pruning to crown cleaning, thinning, and raising. For us safety is important. We only use standardized equipment to perform pruning and ensure tree care is completed quickly and professionally. We understand how trees react to different procedures. We use the right techniques to ensure your trees stay healthy for decades to come. If you’re interested in maintaining the health of your trees request a free estimate for your residential tree pruning services today. Tree pruning is essential for maintaining the structure and growth of a tree. With regular tree pruning, it is possible to minimize the risk of the tree getting infected. 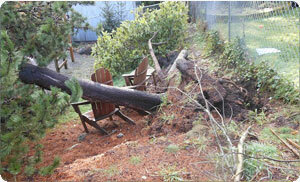 South Hill tree pruning also helps averts the tree from decaying and falling. It helps ensure the clean and healthy life for your trees. We also perform tree pruning where a specific tree limb is removed so it no longer creates a hazard. This type of pruning focuses on limbs that are weak and can fall on their own. Weak limbs can cause damage to your property and the people around. 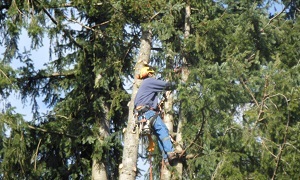 Our experienced team in the South Hill area gives you the right tree pruning to keep your property safe and undamaged. Looking for tree trimming and pruning services for the South Hill area and beyond? Call Hunter's Tree Service 253-777-1938 for crown cleaning and thinning, and hazard tree pruning in South Hill.